Chia seeds are the highest combined plant source of omega 3, fiber and protein, and are high in vitamins, minerals and antioxidants. Chia offers essential nutrition often missing in modern diets. Adding a tablespoon (15g) of chia to your diet each day provides 3g of omega 3, 6g of dietary fiber and 3g of complete protein. Chia contains the perfect ratio of both soluble and insoluble fiber. Soluble fiber forms a gel in water, while insoluble fiber remains close to its original form throughout the digestive path. Both types of fiber are vital for healthy digestion. 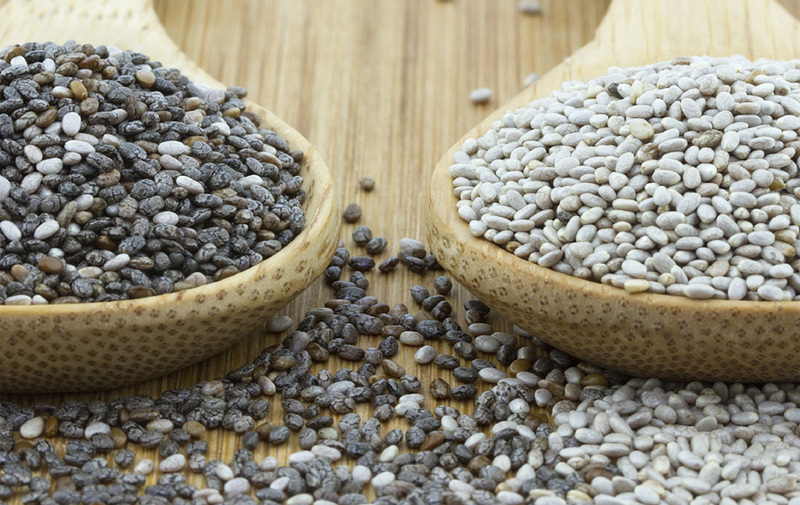 Chia’s high levels of fiber aids digestion. 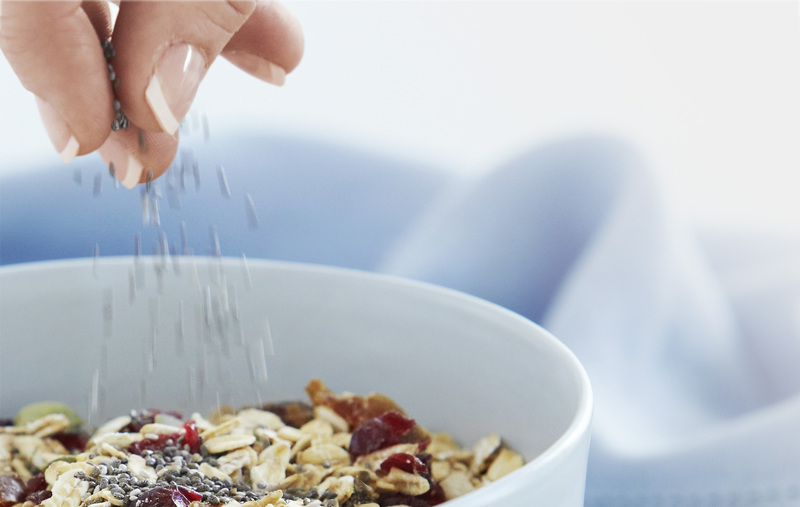 Soluble fiber can help to moderate blood glucose levels and lower cholesterol. Insoluble fiber provides roughage, clearing out toxins as it passes through your digestive tract and lowering the risk of colon cancer. Chia’s rich balance of nutrients – fiber, protein, omega 3, antioxidants, vitamin B, copper, iron, calcium and magnesium – can contribute to slowing the aging process, boosting skin hydration, encouraging healthy hair and nail growth, and increasing cell regeneration. Chia is a great source of nutrition for vegan, gluten free and raw diets. Chia is naturally gluten free, can be eaten raw, and can even be used as an egg replacement in vegan baking. Our chia is sustainably grown. We provide chia in a range of products – black and white Chia Seed, Oats+Chia and Chia Boosters.